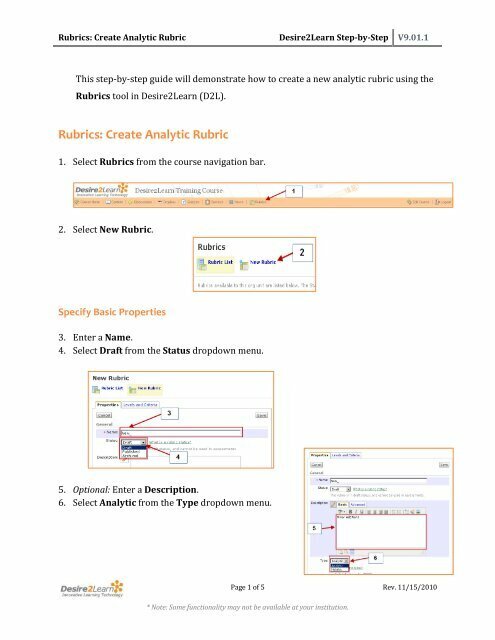 Rubrics: Create Analytic Rubric Desire2Learn Step-by-Step V9.01.1 This step-by-step guide will demonstrate how to create a new analytic rubric using the Rubrics tool in Desire2Learn (D2L).  Rubrics: Create Analytic Rubric 1. Select Rubrics from the course navigation bar. 2. Select New Rubric. Specify Basic Properties 3. Enter a Name. 4. Select Draft from the Status dropdown menu. 5. Optional: Enter a Description. 6. Select Analytic from the Type dropdown menu. Page 1 of 5 Rev. 11/15/2010 * Note: Some functionality may not be available at your institution.